When you need to print ID cards quickly, efficiently, and with excellent quality, you need the Magicard Enduro3E Single-Sided ID Card Printer. You get the versatility you need with optional duplex printing with a simple drop-in dye film upgrade. 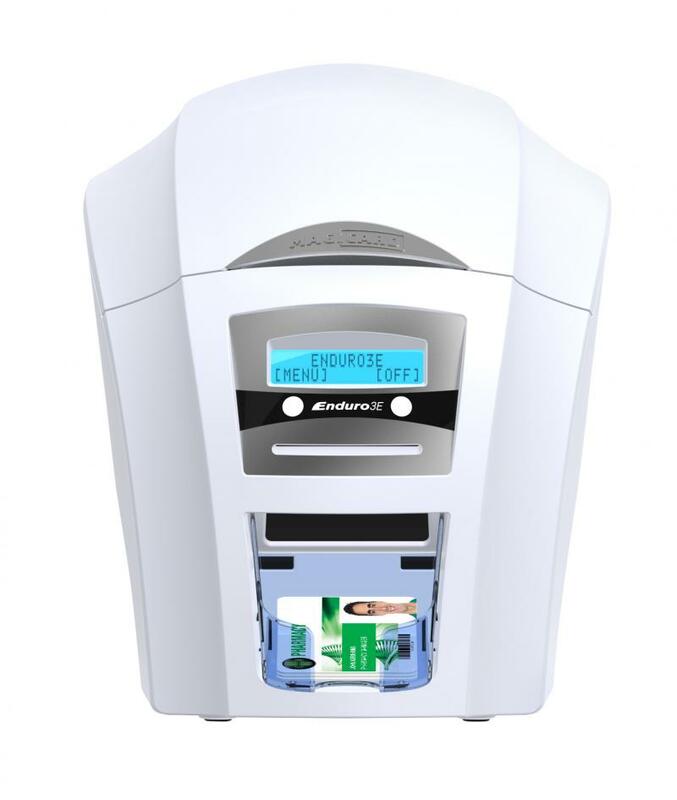 The Magicard Enduro3E Single-Sided ID Card Printer is a reliable way to print high quality IDs with a unique watermark for identification and security purposes. You get high quality badges at the speed you need them: more than 100 cards per hour for color or 7 seconds for a monochrome badge. Featuring both hopper and manual feed systems, the Magicard Enduro3E Single-Sided ID Card Printer offers a 100-card input with a 30-card stacker. 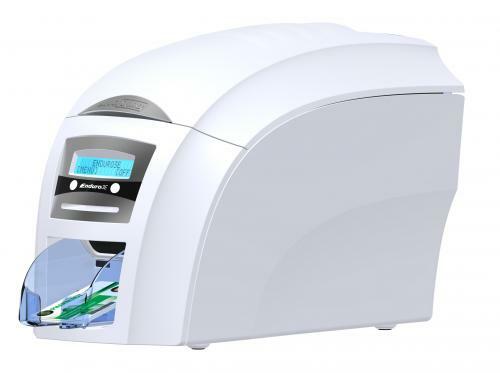 Included with the Magicard Enduro3E Single-Sided ID Card Printer is the advanced HoloKote, a patented technology that prints a secure watermark during processing. You can choose from 4 standard designs to customize your badges for visual security purposes, and when used with the optional HoloPatch cards, one area of the watermark is highlighted, making it instantly recognizable for quick visual security. You get ultimate reliability with a 3-year warranty. 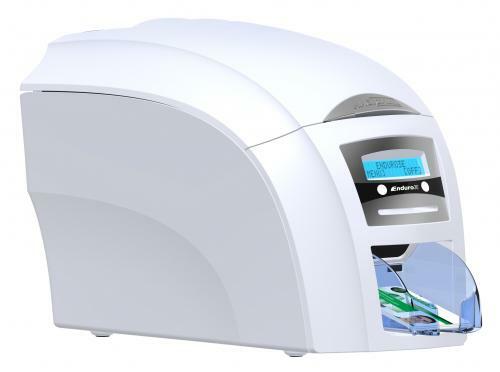 Great for businesses that print up to 10,000 cards per year. 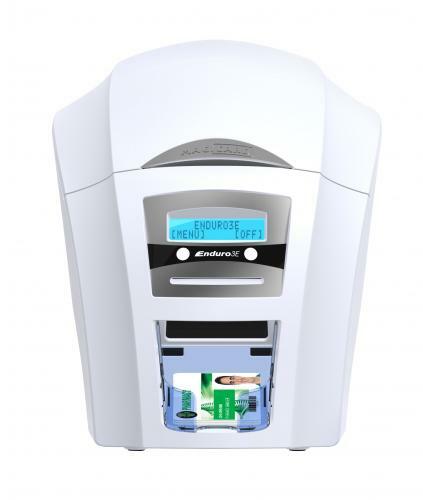 The Magicard Enduro3E Single-Sided ID Card Printer features a 3-year limited warranty.